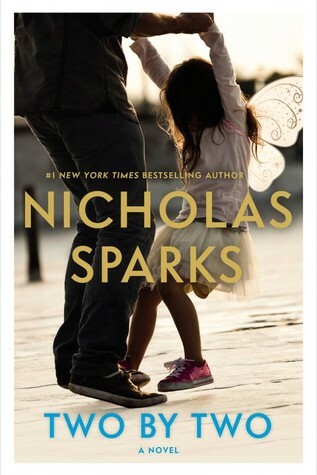 This is my first read by this author, Nicholas Sparks. It is a story about Russell Green and his family. Russ who always tried so hard to make his family happy and a hard-working guy. Vivian, a selfish, complaining and dominating woman who is so much into shopping. It is a reflection of Russ's life and the vivid memories he has of their meeting and marrying Vivian. They never had a spark in their relationship especially when Russ quit the job and start his own advertising agency. The only bright spot of the book is the relationship between Russ and his daughter London which is developed day by day and it is so sweet. There are other characters too. Emily, Russell's ex-girlfriend. Marge, elder sister of Russ and her live-in partner Liz. Russell's parents who were busy with their own lives. Russ is a guy in his early thirties, fighting to keep his life on track. He loves his daughter and wife but things have changed when London is almost six and his wife wants to go back to work because she thinks they need more money. She also loves her daughter and scared to lose her. But she is the only character one can hate the most. The way she does things and says in the book is hurtful. Russ is old-fashioned and does everything to please his wife even he knows he's doing wrong but he portrayed as helpless by the author. Emily's son Bodhi becomes London's best friend. Russ and Emily slowly renew their friendship as their children's lives touch. When Russ go through the divorce and don't know how to fix all things, Marge and Emily helped him a lot. There is sadness, loss, and struggle but it is balanced by the love of family, friends, and renewed love. The relationship between Russell and London was well portrayed by the author. But the way Vivian blame his husband for everything and Russ who never stand for himself was a bit annoying. Russ always wants to please his wife and daughter no matter how much he got hurt in the process. I'm sure everyone wants at least once that Russell gives an answer to Vivian about his bad behavior but it doesn't happen either. It's an extremely long story and slow pacing. The first half about their same routine, again and again, was boring. I heard so much about the author but after reading this book I feel disappointed and the ending just made me roll my eyes. I certainly not recommend this book to anyone. But if you are a Nicholas Spark's fan then go for it.